It's just that...well...doesn't it seem to you that the magic just isn't there this time around? I suppose there are a number of reasons why I feel that way. 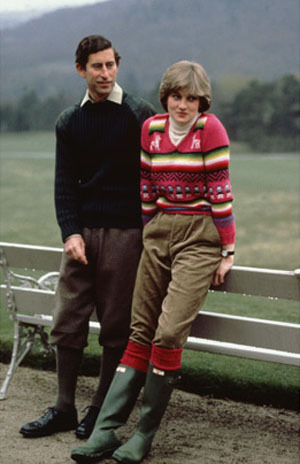 For starters, I was 9 years old when Diana married Charles in July 1981. Like so many other little girls from that time and generation, I wasn't disillusioned yet by the real world and had no idea at the time that poor Diana was stepping into a viper's nest of a family. Diana was the first time any of us had heard of a real princess being married on TV, so that in itself was pretty exciting. Seeing the horse drawn carriage, the pomp and circumstance, the remarkable train on her gown, and the multitudes of people watching - this was definitely a fairy tale come to life. Also, the wedding was exciting because Diana seemed very down to earth and girls and young women could look up to her. Lookswise, she reminded me of one of my sisters. She wore regular clothes when the media first introduced us to her. She was young, pretty, shy, and she loved Duran Duran and dancing, which totally made her cool in my eyes and the eyes of my school peers. Not that Kate doesn't have that same level of approachability, but I distinctly remember the footage of Diana Spencer at the school she worked at, and as a kid not much older than the ones she taught, it definitely gave me a different perspective. Through the years, as I got older, so did Diana, who became more beautiful and grew into her role as a humanitarian. I don't recall getting up at 4 AM to watch the wedding as some women from my generation did, but I do remember seeing a good portion of it on live TV. And that's another thing: Royal Wedding 2011 has a large technical component to it. There's the official website, Facebook page, Twitter account, video spoofs, etc. 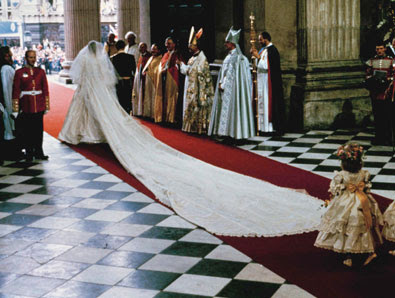 I think part of what made Diana and Charles' wedding so magical was the fact that it was broadcast live and for those folks who hadn't yet adopted that wonderful new invention called the VCR, the only way to catch the excitement was to watch it live. Sometimes I miss the days when not everything was so easily recordable: it's been said that the crime rate dropped the night the Beatles appeared on The Ed Sullivan Show for the first time, because everyone was watching the show. Having said all that, I probably will catch part of Royal Wedding 2011 because it's one of Diana's sons getting married (and I think she would be quite proud), and William and Kate found each other on their own accord. I just know it won't be quite as exciting as Royal Wedding 1981. What do you peeps think? 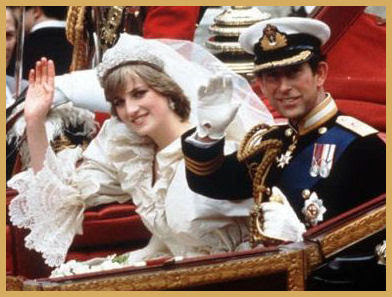 What do you remember most about Diana and Charles' wedding...and are you going to watch Will and Kate's? I got up early for the wedding (and by an odd coincidence had an engagement ring kinda like hers) and was preggo when she was and wept when she died. Wish Will and Kate well but got bored with the coverage weeks ago. Yawn. I don't mean to rain on anyone's parade, but I don't think this marriage will last. I see them divorcing in 10-15 years. I'm not very interested either, now Diana & Charles - wow that was awesome. I remember watching the Royal Wedding way back then....I think I was 17 at the time. I did get up super early to watch it. I was enthralled. I bawled my eyes out when Diana died. @DearHelenHartman - I cried when the entire week of Diana's funeral. I feel like women of my generation grew up along with her in a way. @Tom - LOL! I don't know, I have high hopes for this one because it wasn't an arranged marriage. @Amy - feel the same way, but I'll catch some of he coverage while I'm at work. @Marlene - I bet Diana will be watching. @ApacheDug - Thanks! That's pretty funny that your mother woke you up to make you watch it with her. My wife is going to a friend's house at a ridiculous hour in the morning to watch the wedding. They love anything Royal - especiallly British. They both admit its not the same as Charles and Diane's wedding but they won't miss a minute of the live broadcast on a big screen. They plan to have morning champagne. Princes Diana was a great princes everyone will say this she was kind hearted but she is no more now anyway we shall see Middleton will fulfill her role. I did not watch Diana and Prince Charles' wedding when it aired, and I have never been a big fan of watching the British royalty, but it's hard to not like Diana. I agree completely that she seemed really approachable. Her death was so tragic, it was impossible to not be moved. I remember I did watch her funeral services and was incredibly moved. I like her sons and I agree, she'd be proud. But I actually thought they got married a couple of weeks ago! Yikes. I hope it works out. They seem like good kids, and I think Charles comes across as a truly loving father, so I am happy for him. OK, off topic, but not completely... 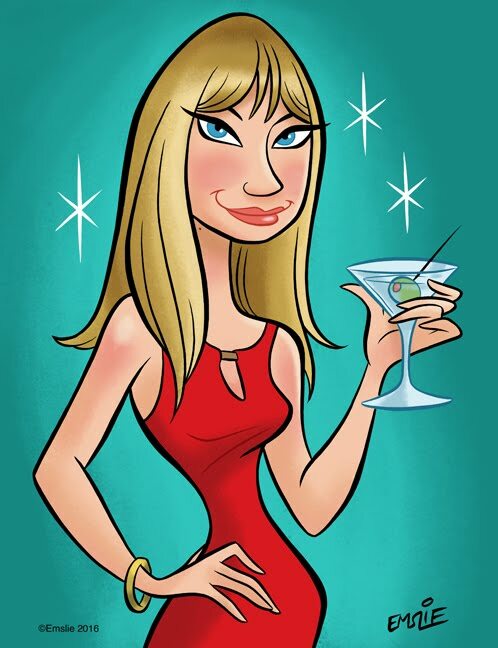 I used to work at bookstore in LA and Morgan Fairchild came in to buy the Time magazine issue with Diana's death. Morgan was in a floor length leopard print dress... I kid you not. I didn't ring her up, but my co-worker talked with for a long time because they were both big Diana fans. She said Morgan was really, really nice. Diana had some awesome fans! I only watched about 5 minutes of it because I was grounded and I was unable to watch TV. But I turned it on while my mom was in the shower. I don't feel it is the same, there isn't the same excitement surrounding this one. I suppose because (for me) that was the first televised royal wedding ever, so it was new. This is just part duex if you ask me. And this is coming from an Anglophile who loves all and everything British, but I'm just not feeling this particular event. I just became a follower. I think I like your forgotten friday. Have you listened to this lately? I would like to invite you for a read. Well I'm eating my words because when I turned the TV on at 6:30 AM yesterday morning, I couldn't help but watch. In fact of all of the royal weddings I've seen on TV this one had them all beat hands down. Her dress and the church were beyond lovely and they looked very happy together. OK, we LIKE Royal Weddings. Despite what Gloria Steinem has been shoving down our throats for over 40 years, we all want the Royal Wedding in one form or another. I agree that this was not "Chuck and Di," but that was a different time and place. DI was the last Princess who could have a wedding like that. I liked this one. It was a good blend of traditional and modern. It was something our girls today could look at, understand, and wish for. We need that once in a while. Whatever Happened to Thank You Notes?